Sculpture size: 4.5" X 4.5" X 4.5"
This particular jellyfish sculpture has a beautiful purple ribbed dome. Under the dome is a brown and gold band with an array of colorful tendrils descending from within. 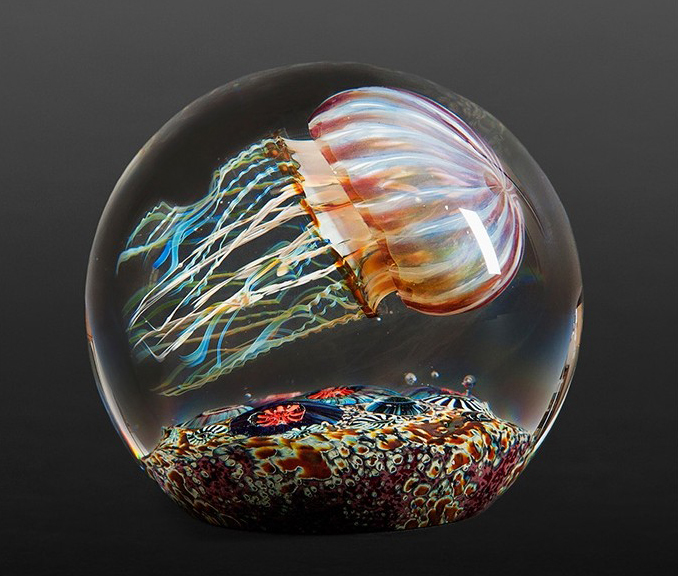 This design has the Jellyfish floating over a beautiful seascape bottom covered with algae and amazingly detailed sea anemones. Each original handmade sculpture is a one of a kind piece. No two sculptures are alike.